Choose a beautiful hotel in a prime location. Check beforehand to see how late places stay open nearby to ensure a good night's sleep, and don't be afraid to switch rooms at the last minute to secure a comfortable (read: better) room. The cost is usually far less than doing so in advance anyway! Order up your favourite drink and purchase some of your favourite sweet treats beforehand to tuck into your holdall before checking-in. Anyone for champagne truffles, salted caramel puddles and chocolate thins? Treat yourself to sumptuous new nightwear. 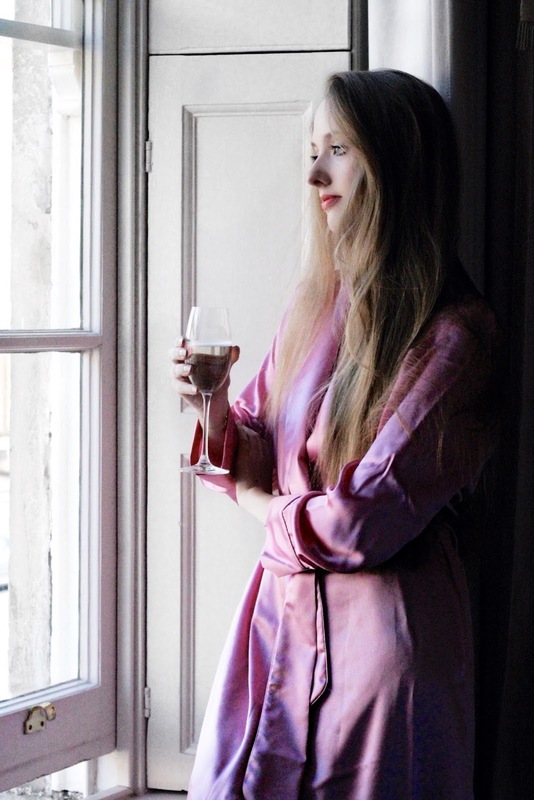 I'm wearing the most beautiful silk dressing gown from Bonsoir of London, featuring a flattering shawl collar and discreet side pockets. If you watch my Insta Stories, you'll have seen me floating around in this beauty in my hotel suite at No. 15 Great Pulteney (as seen in this post - full travel diary coming soon!) earlier in the month, and loving every single second of it! Hot weather, floor-to-ceiling windows open, drink in hand and wrapped in silk. Bliss. Ditch the tech and take a look at the spa treatment menu instead. Schedule a massage, manicure/pedicure, or try something new - now is the time! Just be sure to factor in dinner, to ensure you're not frantically washing your hair at the last minute after that neck massage! Alternatively, if going down/out for dinner isn't your idea of indulgence, order up room service and enjoy your meal with a view of the rolling hills, or sidewalks below. Ps. don't skip dessert! It's a small price to pay for an undisturbed lie-in, right? 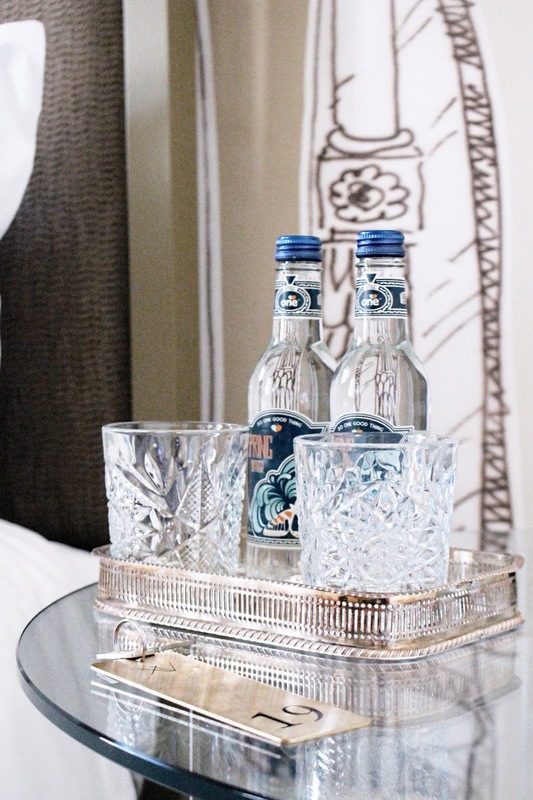 How do you go the extra mile to indulge while on luxe getaways? 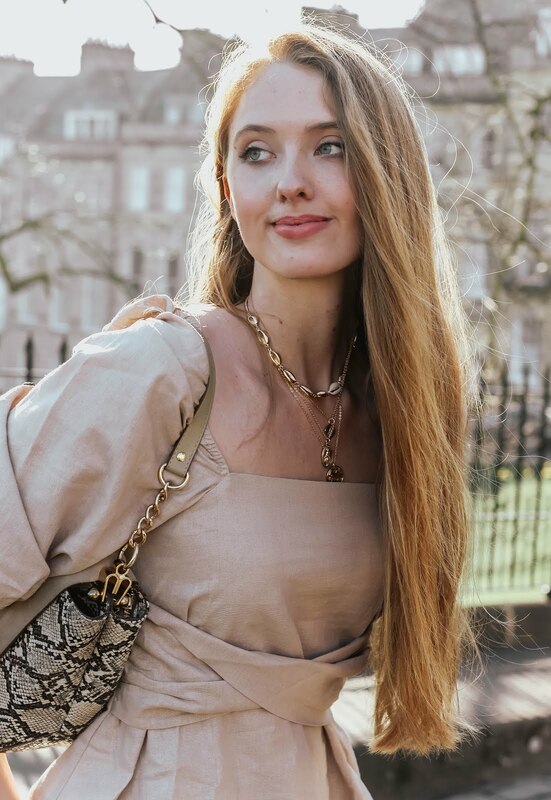 And I'd love to hear your thoughts on this beautiful silk gown from Bonsoir of London! Have a lovely week ahead! Oh my you are making me so jelly with your trip. I do need to stay in a hotel like this. And LOVE the robe, gorgeous color and perfect for traveling in warm weather. Gorgeous pix too. This place looks so awesome! It sounds like such a lovely place, I love your photo selection. Love this post! These are such fun ways to make a vacation all the more special! Oh, that looks so luxurious! 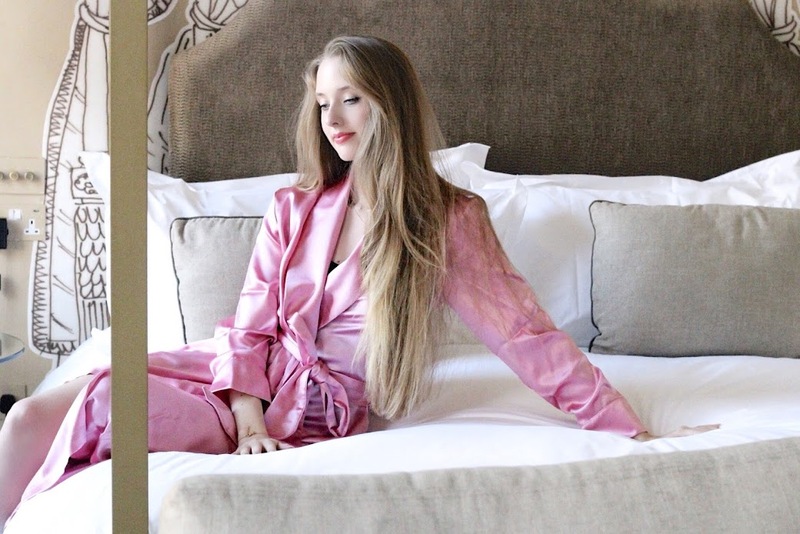 I love that beautiful pink silk robe, and your suggestions on bringing along some little indulgences will be taken when I go on vacation next week. I totally agree with the suggestion of requesting a room change, by the way! Such great tips, Gabs! I never make the most of my time when I’m staying in hotel. No idea why, but I will definitely be utilising these tips come the next one! Love the soft pink of your robe. It’s so luxe! Perfect for the staycation! I love your tips! I always ask for late check-out cause I'm totally not a morning person hehe. Btw, I'm obsessing over your pink silk robe - so pretty!!! First off, I need that robe in my life, haha! It look so luxurious and I of course love the fact that it's pink! These are all such wonderful tips for ensuring a luxurious stay while vacationing. I especially love the suggestion for having a spa day, something most don't think about, since exploring or partaking in excursions are usually what comes to mind first, but when you're on vacation, part of the experience is to be spoiled and do nothing, so I'll definitely be carving out some time to do a little spa time now. Thanks for sharing, beauty, and I hope you have a great week ahead! Late checkout is a must, and taking time for an afternoon nap. The ultimate pleasure for a mom! What a perfect gateaway! Everything seems perfect and I need I would be so happy to do that! Nice and relaxed. Looks like you had a great stay. Enjoyed this post. What a lovely stay! Diggin' your jammies, too! Well, dear, you definitely know how to enjoy luxurious hotels! I have to admit that even happend to me to stay in many beautiful and luxurious places I've never really considered them more than a room ( and eventualy a restaurant and a swiiming pool) to stay! I'll definitely keep in mind your tips! The robe looks so gorgeous! The colour looks great on you. Oops, not sure if my previous comment posted! Please disregard this one if there are two haha... Anyway, when I really want to indulge in hotels I order room service and get a late check out as well. It's the best! Loving the nightwear. It looks so luxurious and relaxing! You look amazing in this silk robe. Beautiful photos. You definitely need to make time for yourself from time to time and those are 6 great ways to indulge yourself indeed !! Oh my, that nightwear is so so so beautiful, I mean you can just see how luxurious and soft it is! I love ordering room service if I'm staying in a fancy hotel. There's such a ultimate pampering vibe to it and it just makes me feel like a princess. On the other hand, I'm not a fan of massage. It just makes me feel weird having strangers hand touching me. LOL! Of course one has to indulge when staying at a hotel. I always enjoy taking advantage of the concierge services and amenities. And that is the only time we have breakfast in bed because I would never do that at home ;p That robe is absolutely gorgeous and gorgeous on your Gabrielle! This is a pretty silk gown, you surely get a good night sleep with the feel of it. I agree with the things you mentioned especially the dessert and late check-out. Lovely post dear! What a beautiful robe, the colour really suits you!! This post is right up my alley! A luxe getaway sounds heavenly. Sweet treats and late check out have to be some of my favorite things ;) Love your robe, gorgeous! Stunning nightwear!! 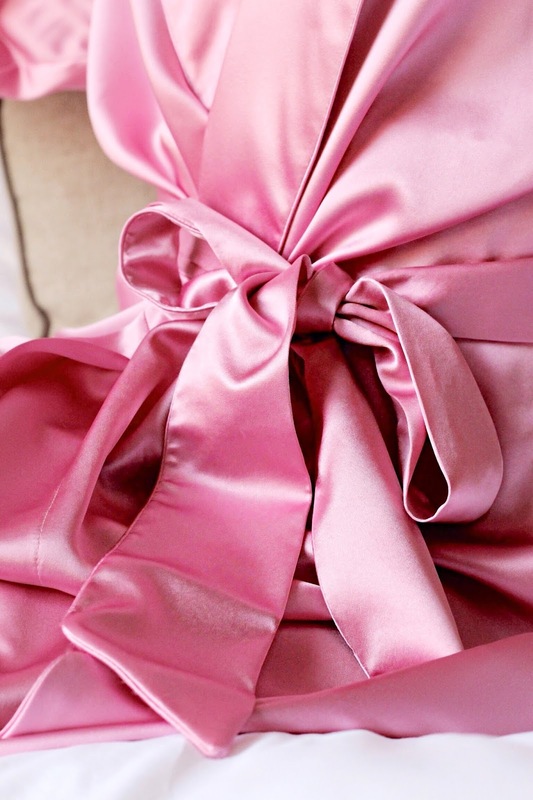 The pink robe looks extremely soft and beautiful! I think a good spa treatment is the best way to indulge! Love your kimono, so pretty! I could LIVE in that robe!! I'm such a fan of room service (even though it's like 102394x a normal price). There's something so magical about food arriving right at your door, ready to eat. Can't wait to see the full travel post! I'd love to try this one day because we deserve these kinds of indulgement every once in awhile. Love you pink robe! Oh wow, this is beautiful Gabrielle! You've made me want to book my own little getaway. Lounging in a nice hotel in a robe like that? Yes please! That robe is so divine and sumptuous. It's like the definition of opulence. Loooove! Such great tips! I love your robe. This silk nightie is gorgeous...Nothing like that soft touch of silk, right?...and the design is lovely and chic. 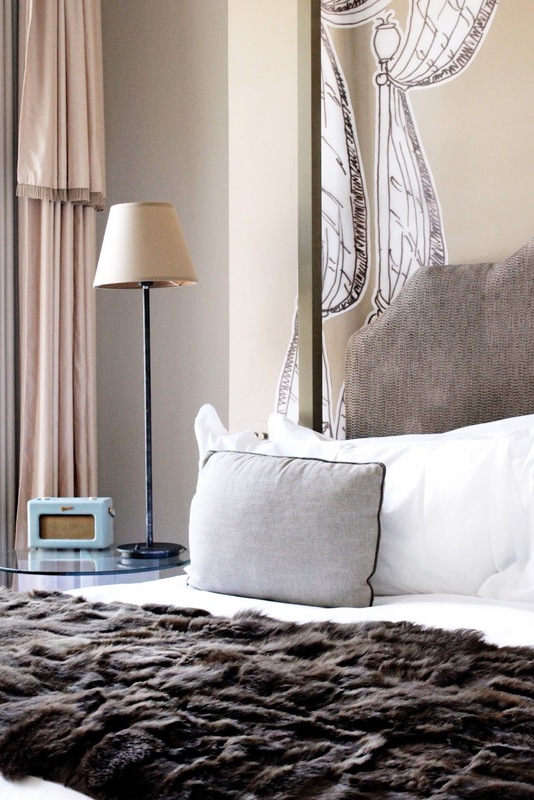 Wonderful tips for making the most out of a stay in any hotel. Late check in does make things (packing, departure) much more comfortable. These are definitely some great tips. Pretty much the same. It's definitely about the location and the hotel/B&B though for me. It needs to be just right and feel comfortable. Loving that silk gown! And the photographs are just perfect! These pics look so lovely!! Firstly, you look absolutely beautiful in your gown Gabrielle. Your robe is so luxurious and the perfect fit for a luxury stay. These photographs are so beautiful as are you, Pretty in pink!